Meeting the popular opposition leader would be consistent with US democratic ideals. U.S. President Barack Obama is due to travel to Malaysia on April 27, 2014. This will be a historic visit that should seek to accomplish U.S. goals in the region but also demonstrate the value of democracy and rule of law. While this trip is seen as an opportunity for the U.S. to make headway on initiatives such as the Trans-Pacific Partnership (TPP) trade agreement, it is also an opportunity to demonstrate U.S. adherence to democratic values. A meeting between Obama and de-facto opposition leader Anwar Ibrahim can help America on both ends. In a nation that is split along ethnic lines of Malay, Chinese and Indian, Ibrahim’s opposition coalition of Pakatan Rakyat holds the popular support of a majority of Malaysians. The results of Malaysia’s 13th general elections, held on May 5, 2013, marked the first time since 1957 that the ruling Barisan Nasional (BN) coalition’s support fell to less than 50 percent of the popular vote. Though BN lost the popular vote, it maintained control of national parliament, winning 133 of the 222 contested seats through gerrymandered electoral districts. Ibrahim’s popularity and leadership as the opposition leader should not be underestimated; indeed, it should be cultivated. Recent public opinion research in Malaysia indicates a continued slide of the government and its leader’s performance based on unpopular public policies. The public opinion research firm in Malaysia, the Merdeka Center recently released a survey conducted between March 7 and March 20. The survey revealed that only 38 percent of respondents think the country is headed in the right direction. Regarding the government’s handling of the economy, the survey results are similar: 39 percent are satisfied while 56 percent are dissatisfied. The Merdeka Center survey also showed that 44 percent are dissatisfied with Prime Minister Najib Razak’s leadership. The level of dissatisfaction with Najib is the highest since the Merdeka Centre first tracked his performance in May 2009, a month after he took office. With Malaysian government approval ratings diminishing and the window of political will closing, the U.S. will need to explore other partnerships that can offer hopes of success for TPP or at least mitigate strong opposition to it. By meeting with Ibrahim, this conversation can begin anew. According to a press conference Ibrahim held in August 2013, the opposition Pakatan Rakyat bloc opposed the TPP trade agreement and believed it was not in Malaysia’s national interest. Among reasons cited for opposition, Ibrahim pointed to the lack of transparency of the process, noting “the extent of secrecy in the TPP is extremely worrying.” Much of the information he received about the TPP was “through leaked position papers of TPP countries” and analyzing existing American free trade agreements. Marginalizing Ibrahim and his opposition bloc will only further their concerns and add future challenges to public support for the TPP trade agreement in Malaysia. Obama will be the first sitting president to visit Malaysia since President Lyndon B. Johnson traveled to Kuala Lumpur in 1966. Johnson was a pivotal figure in the American civil rights movement and is often credited with championing the push for greater equality – and expanded democracy in America. Nearly 50 years later, Obama now has an opportunity to demonstrate his commitment to democracy and rule of law in Malaysia by meeting with Ibrahim. Ibrahim’s conviction and subsequent five year prison sentence last month was disturbing. A similar charge filed against him in 1998 was largely seen as politically motivated and ultimately resulted in the Federal Court overturning the conviction. The timing of last month’s ruling was of particular concern given Ibrahim’s intent to contest the March 23, 2014 Kajang state by-election in Malaysia’s richest state, Selangor. Winning this election would have positioned Ibrahim to demonstrate his leadership. As Ibrahim looks to appeal this ruling, it is essential that the Federal Court, Malaysia’s highest, view this case in a transparent and fair manner that upholds the rule of law and affords Ibrahim full protection of his legal rights. By meeting with the opposition leader, Obama would send a strong signal that America is supportive of the rule of law. Anwar Ibrahim said recently that a meeting with Obama would have been “consistent with U.S. democratic ideals and its foreign policy of promoting freedom and justice.” Indeed, it would be. Robert Cushing is the Director for Malaysia at the International Republican Institute (IRI). IRI is a nonprofit, nonpartisan organization committed to advancing freedom and democracy worldwide by developing political parties, civic institutions, open elections, democratic governance and the rule of law. Cushing is based in South East Asia. The authorities have been quick – very quick – in responding to the Anwar verdict and its fallout. 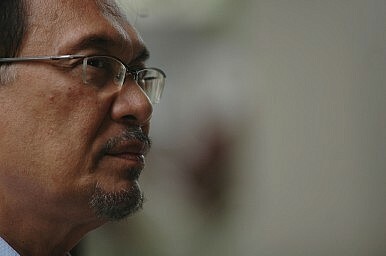 Obama Won’t Meet Anwar, But Susan Rice WillWhat Does Malaysia’s Earthquake Election Mean for Democracy in Southeast Asia?Malaysia’s Election Will Test the Country’s StabilityWhy Boycotting Malaysia’s Election Makes SenseCan the New Mahathir-Anwar Alliance Defeat Najib in Malaysia’s Election?